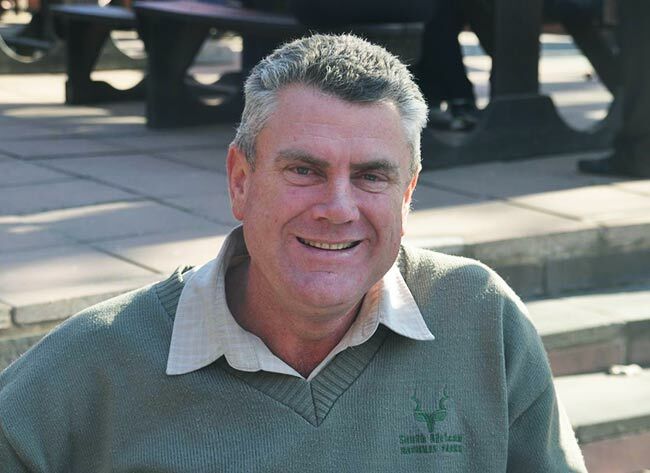 Kevin Moore was 40 when he first visited Bergplaas eight years ago and participated in the Spirit of the Wild Programme with a SANParks group. "My first words to everyone out there, is that when you go to Bergplaas and participate in the Spirit of the Wild, be prepared to part with preconceived ideas about yourself, your life and your place in it. There is an understanding out there in the wild that is beyond anything that we can conceive." Kevin explains that before he went to Bergplaas he had been reluctant to participate in Spirit of the Wild: "As a fact-based conservationist the notion of intuitive wildlife guiding and a deep experience of wildlife and the environment, did not appeal to me, but I was in for a major surprise. "Halfway through the programme I literally cracked. I realised that I was spiritually bankrupt and seriously lacking something in myself because I was cut off from my higher power. What came to me was that the way to connect with my higher power was by immersing myself in the natural environment. It is all encompassing and provides a spiritual connection beyond the limitations of secular or religious beliefs. "In a sense, it became my Holy Grail, an opportunity for discovering who I am and what my higher power means to me. Bergplaas was the catalyst of this mystery for which I had been searching for my whole life. It was like a great big homecoming and I felt like the prodigal son in the Bible. "On the programme I realised that there is so much more to conservation than being able to spot and name a Pel's Fishing Owl or any other species. I realised that this beautiful owl and everything in the wild is actually part of me and I am part of it, and that I have an enormous responsibility to help look after our natural environment because this is our home. I realised how blind, self-centred and selfish I had been, how small I had been in the past. "I have grown so much since then, and I have been back five times, each time strengthening this incredible awareness that I am part of something so much bigger: the holism of all life. I feel duty bound to share his experience with others: to share how conservation has taken on a whole new spiritual meaning for me, which continues to grow. "As part of this journey I have been truly blessed with a wonderful wife and four beautiful children. What was once a dysfunctional life has changed into one that brings me joy and peace. "It has not all been easy, I still feel like I'm only at the start of this great journey, but I am now 48 and I continue to marvel at the miracle that happened in my life, simply be letting go and allowing the natural environment to show me the way."